Wighill Park Guns | Products | Hogan Decimeater Moderator/ Silencer. Suits Air Rifle .177 and .22 calibre. With a 1/2″ UNF Thread. 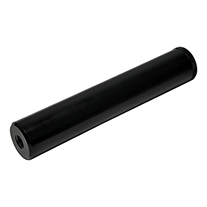 Suitable for any standard air rifle with a threaded end of 1/2″ UNF.